Find the extension you need. Shopware was created to be an extremely flexible and extensible system that can be built upon using diverse functions and customized to meet your individual needs. The key to this extensibility can be found in our powerful plugin system. Our Community Store, the central marketplace for all modules, interfaces and templates, has over 3,500 available extensions, which can be added to your shop using only a few mouse clicks. 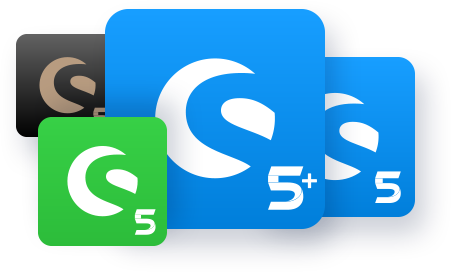 Along with the official plugins from Shopware, the Community Store also offers all other extensions from certified Shopware partners and our enormous Community. Many of them are even completely for free. In your backend, the Plugin Manager is your main support for easily extending your online shop. Install or update extensions from the Community Store using just one click of the mouse. Our Shopware Premium Plugins are marketing features developed and certified by us, the manufacturer. They enrich your shop with useful and clever functions. Use our Community Store as a sales platform for your own self-developed Shopware extensions and take advantage of a fast market access to our extensive Community. Download, install in the backend, done. All plugins available for Shopware are ready to be used productively in your online shop very quickly and with little effort. All plugins purchased from the Community Store come with an automatic one-year subscription. Thus in the event of problems, whether small or large, you will quickly receive support from the manufacturer. All plugins in the Shopware Community Store must undergo our stringent quality checks. Particularly outstanding extensions can be recognised by their "Shopware Certified" badge. Which edition suits you best? Shopware offers four editions with various scopes of functionality in order meet the different requirements of modern online shops. From the free Community Edition for those just entering eCommerce up to the highly scalable Enterprise Edition with around-the-clock support for major brands with multishops. You can find the right solution for your project in the edition overview.